About Soul Nourishment Readings: Just as I weave in spiritual nourishment from the Akashic Records for my clients along with their nutritional protocols on an individual basis, I’ve been inspired to start sharing these readings in a monthly column to support the collective with general monthly themed-readings... and so Monthly Akashic Soul Nourishment Readings were born. Ok, a little background info to paint you a picture: On the night of August 7, 2017 - full moon eclipse, I sat down to meditate and open the Akashic Records for August’s Soul Nourishment reading. As I began to go deeper into a meditative state, a loud sound of flapping wings came from just outside of my ground level window. It was pitch dark out so I was not able to see the bird that was flapping, and as I went to the window, the flapping stopped. I sat back down to resume, and once again the urgent flapping began again. Wings flapping in the dark night. Rhythmic, in code, an urgent message to be heard. The flapping creates sound - a frequency from movement, each feather an instrument playing the notes of a unique windsong... wingsong, revealing the winds of change. The power of these flapping wings is to deliver a potent message. This message is not to be seen. Only heard, felt, and known. These messages are efficient, brief, precise - you must pay attention or you will miss it. The wind... the breeze speaks, it has a language and carries messages too. Hawk appears and soars high above a deep canyon. Silent, focused, intentional, able to see the whole and individual parts all at once. Hawk says: "You are already flying - soar with intention, now is the time." How do you flap your wings? What song are you playing? Is it the effortless soaring, or the urgent flapping? Are you doing so unnecessarily, exerting more effort and energy than needed? The hawk reminds us that you are being watched - by all beings. And all beings matter. There is “no time” for engaging in repetitive falsehoods anymore. What you do and say today matters. What is your song? What is the message of your wind from your movement and instrument? What is your breath spent on? Spend it wisely and intentionally. No more "blowing hot air" or being a "blowhard." Breath is sacred, don’t waste your air. Each melody from your instrument is an incantation, a song spell. Cast a life spell with your exhalation. Inspiration follows expiration, then new life, new beginnings. What kind of spell are you casting with your breath? What is your incantation? Information is delivered even within the tiniest movement - no matter how soft the flapping of a feather, or quiet the flapping of your lips - mind your song. Sound creates life. The morning after my reading when I sat down to write this, I pulled an animal spirit card (I use The Wild Unknown deck and love it) - no surprise, the Hawk appeared once again. 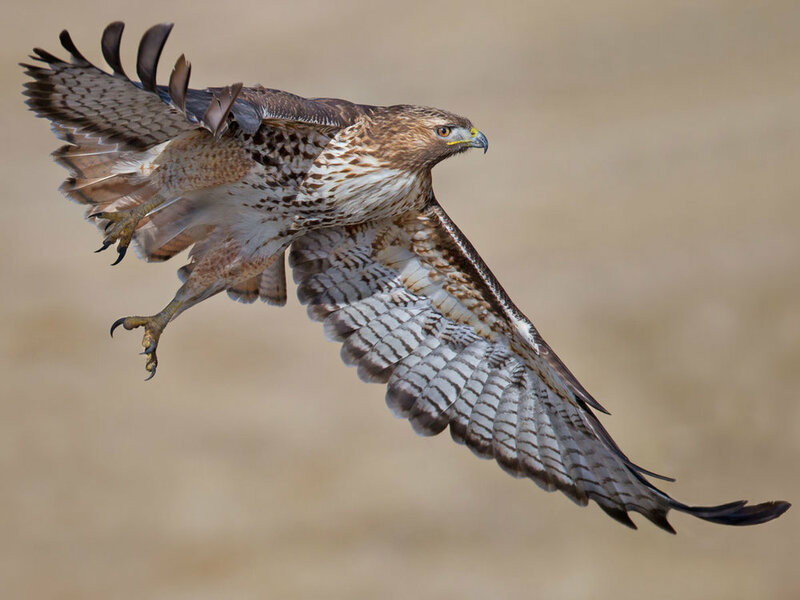 Hawks as spirit animals are traditionally seen as mystical messengers, visionaries of the air as they have the keenest eyesight. They are watchful, all-seeing, and messengers of divinity. When this bird shows up - PAY ATTENTION, there is a message for you. Sharp eyes of the hawk watch our every move. They have the ability to see big picture and little details. The winds of today are shifting - hawk carries news upon its wings and this message is sent from divinity itself to deliver it. We are reminded that nothing is too small or insignificant - everything you say, think, and do matters. A friend reminded me of Don Miguel Ruiz’s book The Four Agreements, in which the first agreement is “Be impeccable with your word.” This message is echoed in this month’s reading, and reminds us how every breath we take and every spoken word is literally an incantation (from in- "into, upon" and cantare "to sing") - it is an act of invoking something within our lives, casting a spell upon ourselves. So be vigilant and mindful about what kind of spell you are casting upon yourself and others with your unique song. So tell me - what song have you been playing lately? What do you desire to invoke in your life? And what needs to change or amplify with regards to your breath and spoken word to make this happen?